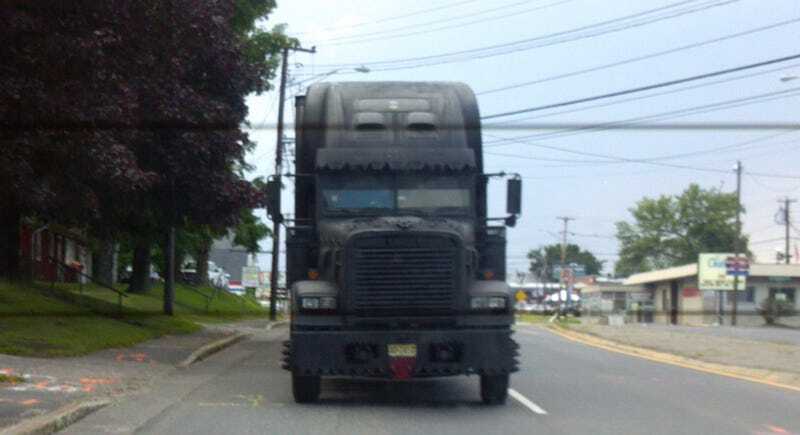 The most sinister 18 wheeler I've ever seen. All I could think of was Jeremy's Man. the triangle cut outs continued all down the side of the cab.